There are 25.4 million refugees worldwide, over half of which are children. They may have seen or experienced violent acts, and as displaced individuals are at risk of abuse, neglect, violence, exploitation, trafficking or military recruitment. But those smiles. A strong language barrier exists, but a smile at the Bidibidi Refugee Settlement is never lost in translation. Sometimes their smile conveys curiosity, sometimes shyness, often excitement, and almost always coupled with pure, unadulterated laughter. These children walk miles to the closest water tap and wait at the designated time to collect water for their family. They make their own toys out of materials they find, they eat when they are provided with food. And as I describe these challenging conditions, I am baffled by these children consistently smiling and waving at us newcomers. Children are incredibly resilient. By learning, playing and exploring their skills, they can find ways to cope in difficult situations, drawing strength from their families and communities. The resilience that these children prove gives The Walking School Bus and it’s partner-schools at UNHCR Refugee Settlements a mold that we are responsible to shape for the better. And we were privileged to kick start our projects earlier this month to improve conditions through our proven, holistic approach in collaboration with our new community partners. 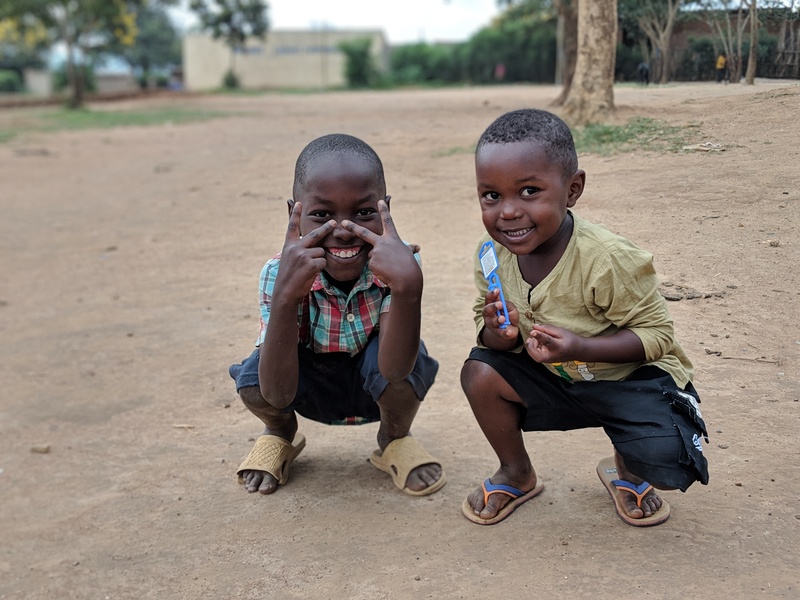 Literacy is the number one predictor to success, and TWSB has partnered with the UNHCR to improve access to both healthcare and education at the Bidibidi and Nakivale Refugee Settlements in Uganda in 2019. We are applying our holistic approach to education through our partnership with CRADLE, an innovative medical device that accurately detects the health status of pregnant mothers and adults in low-resource settings. Our Solar Power Classrooms will act as a space to employ our curriculum program through access to educational-technology resources, as well as a charging station for these life-saving devices. TWSB arrived at Bidibidi Refugee Settlement at the start of 2019 to meet with Twajiji Primary school teachers, community members and leaders, where we initiated a pilot program, providing training and resources in anticipation of our first full Solar Power Classroom and Curriculum program implementation in July.